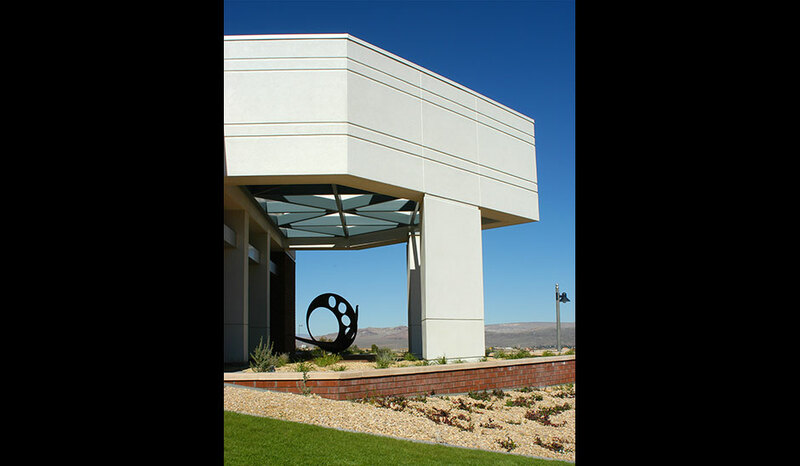 This project is located in Barstow, California, in the Mojave Desert. High desert climate has hot, windy summers with mild cool winters. 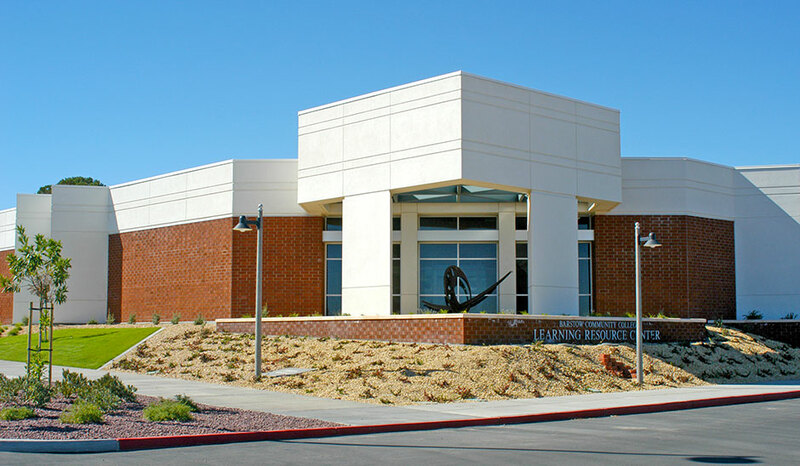 The Library/Learning Resource Center has been located on a prominent spot of the site to be the first building you see when entering onto the campus. 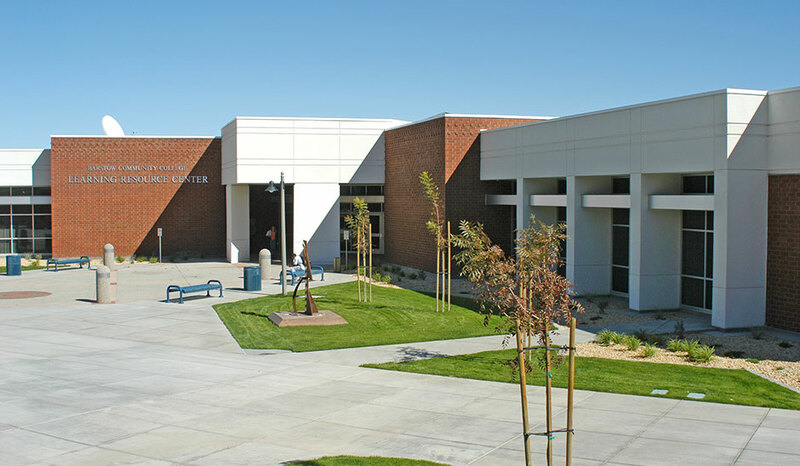 The building is situated in a way to create exterior public spaces for students to gather, spaces that protect the users from the winter winds and summer heat. The facility sits on a gentle-sloped hill with retaining wall / planters, plaza and walkways that it softens the buildings impact on the site. 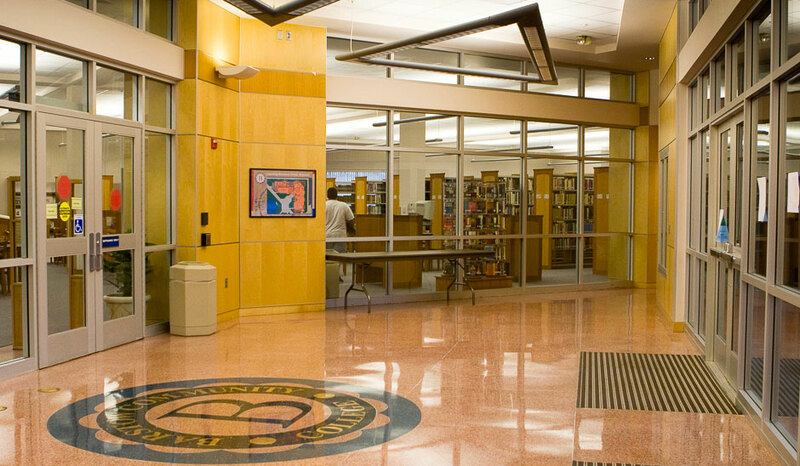 The plaza acts as an exterior transitional area from the main campus to an inviting Entry. 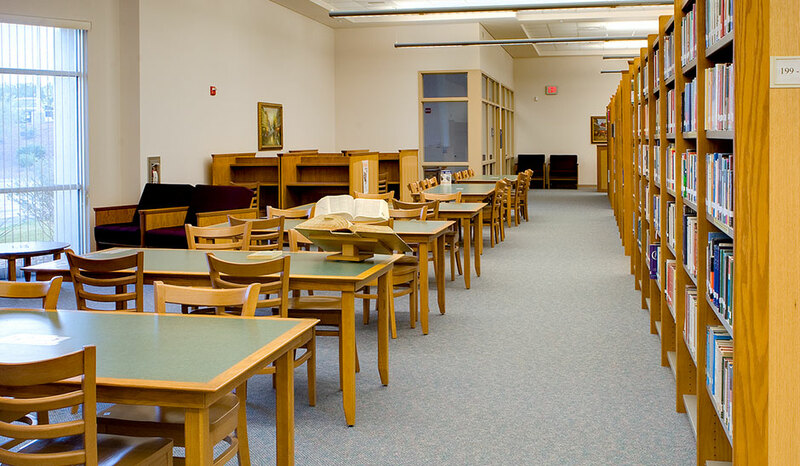 A spacious Lobby is an interior transitional space between library proper with administrative offices, processing, circulation control, book stacks, reading study areas and small study / video viewing rooms and more public use areas for tele-conferencing, meetings and computer commons. 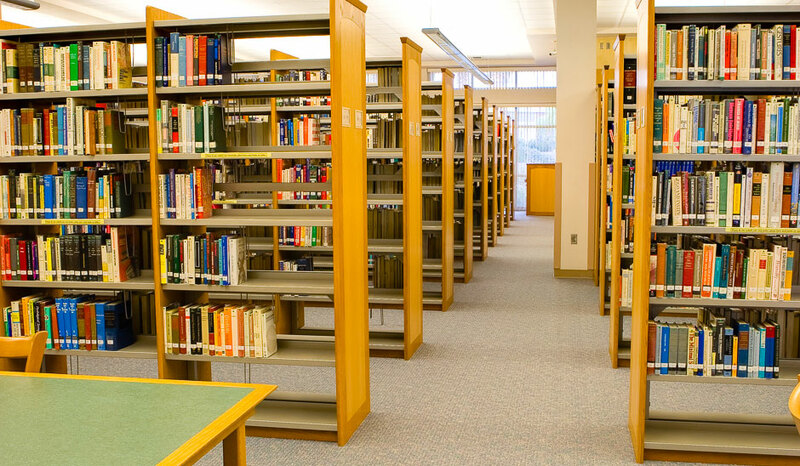 The library is laid out as an open floor plan allowing for program flexibility for its current and long-term uses. Light wells on the roof with translucent panels allow soft indirect light into the Lobby, Circulation, and Reading Study areas. 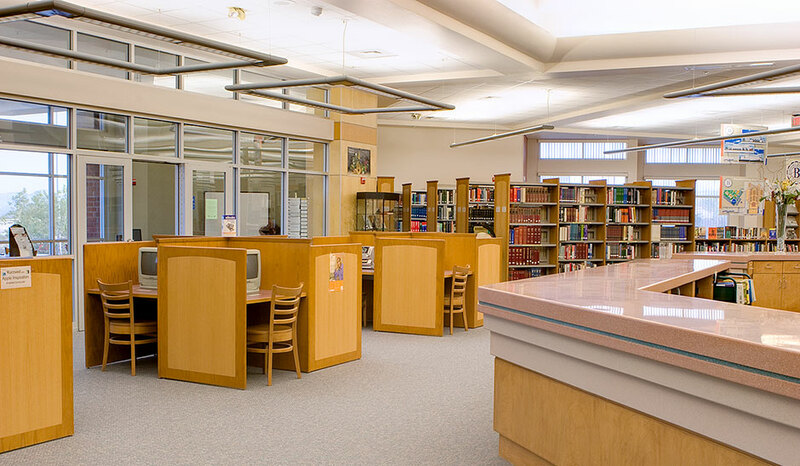 Windows are designed with overhangs, wing walls and window shelves to be protected from direct summer heat yet allow views to campus and surrounding mountains. Direct solar gain has been limited to the low southern sun in the winter to bring heat into south facing interior areas. The structural system is a structural steel frame with steel columns and beams, metal brace frames, metal roof deck and metal stud wall framing. 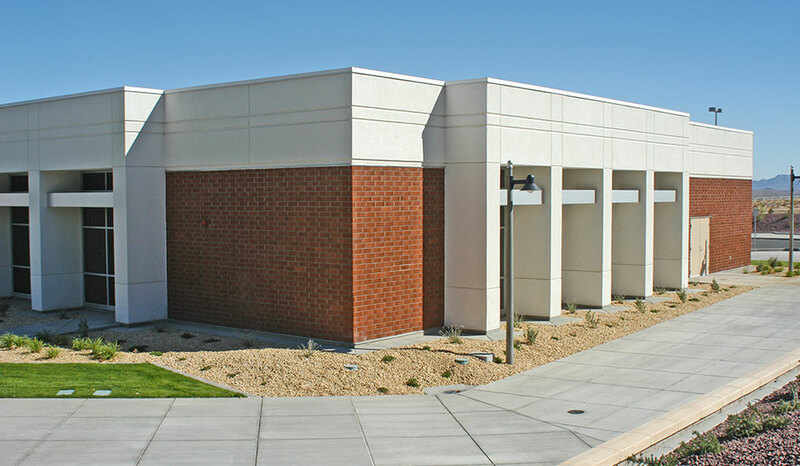 Exterior building materials consist of veneer brick, metal roofing, translucent wall panels, aluminum storefront / glass and EIFS.